Tony's Hot Dog Cart !!?? I can't believe that hot dog cart is still around. Where is it located now? In the field just off the pavement west of the CTC gas bar. That one seems so gross. The tent is falling apart as well. What a location for it to be at today!! I hope this does not upset employees and ruin the atmosphere. I was thinking the same when I saw that one. Storing hazardous foods at internal temperature between 5Â°C and 60Â°C. Patio, drive-thru and chip stand now open. What is left for them to do? 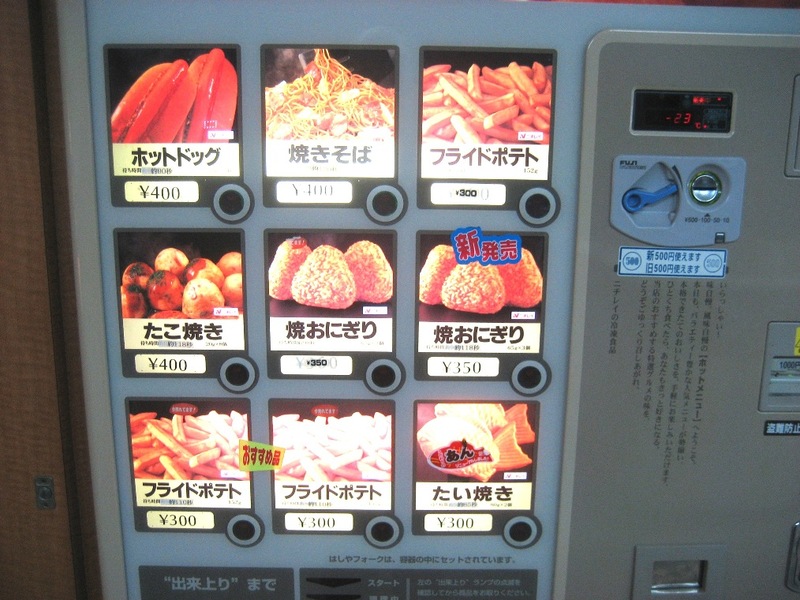 Fish and Chips vending machine? Right now, one hundred Yen is equal to 1 Canadian Dollar. just to "compare" the prices on the vending machine. Do they do delivery? Fish 'n' Chip cart? Loco101 wrote: That one seems so gross. The tent is falling apart as well. Say what you want about him.... but he's been in business for many years and works hard at it. And Gilles keeps being re-elected. It's been a long time since politics got injected into a non-political thread. DenBen wrote: Do they do delivery? Kegan wrote: What's that got to do with Tony ??? Goes to further prove that some things just don't make sense. He's had a violation charge against his business from the PHU. That kind of turned me off.